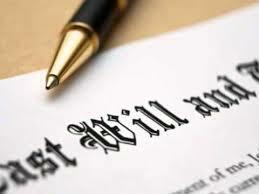 A man who was left out of his late uncle’s will has been accused of doctoring another version of the will, reinstating his claim and reducing that of other family members, a court has heard. William Venning, 55, faces charges of conspiring to make a false instrument, conspiring to pervert the course of justice, fraud and converting criminal property. Venning had originally been a beneficiary in his uncle Peter Ascott’s will. However, after Venning split from his wife, Ascott removed Venning from his will. Sally Clarke, 57, and Stephen Martin, 52, are also accused of conspiring to make a false instrument and conspiring to pervert the course of justice charges for allegedly signing the falsified will as witnesses. “Hedley Venning was married to Susan Venning for about 20 years but in 2010 Venning and his wife began to have marriage difficulties and separated, a separation which was far from amicable. Mr Beal further said: “Sally Clarke and Stephen Martin said they’d been present when Peter Ascott signed the will. All three defendants deny the charges against them.